All GoPros come with built-in microphones. They do a serviceable job for casual use, but the sound quality of the on-board mics frankly isn't great. And one of the casualties of the newer design of a built-in waterproof casing is that the on-board sound quality isn't as good. So if audio is important to the video footage you're shooting, you'll get much better results by using an external microphone. There's a huge variety of external microphones available on the market. Some are better for recording speaking voices, others for music, and others for ambient sounds. So here's a rundown of some popular external mics to use with recent GoPros. The lists below aren't by any means exhaustive, but they're a combination of ones that GoPro officially recommends as well as others that are known to work well. Not every GoPro is compatible with external microphones. Here's a quick roundup of the models that do accept external mics. And some models that are compatible with external mics have more compatibility than others; more on that below. But first, you'll need a way to attach your microphone to the GoPro. The current and recent generations of GoPros don't have a dedicated audio input port, so you have to use the mini USB port (the GoPro HERO2 was the last one with a dedicated 3.5mm audio input). To do that, you'll need an adapter to go from a 3.5mm plug (or 1.8") to either mini USB or USB-C, depending on which model of camera you're using. If your mic uses something other than a 3.5mm plug, such as XLR, you'll need an adapter to go from that to mini USB or USB-C. A few of the mics below come bundled with an adapter, but most don't (and make sure it's the right one for the camera model (see below)). GoPro makes their official versions. There are also aftermarket versions; the quality of them varies. If you're using one of the newer cameras, these same external microphones will work in most cases. But you'll need a different adapter. GoPro have done away with the mini-USB port and now use a USB-C port. You can find the new adapter here. 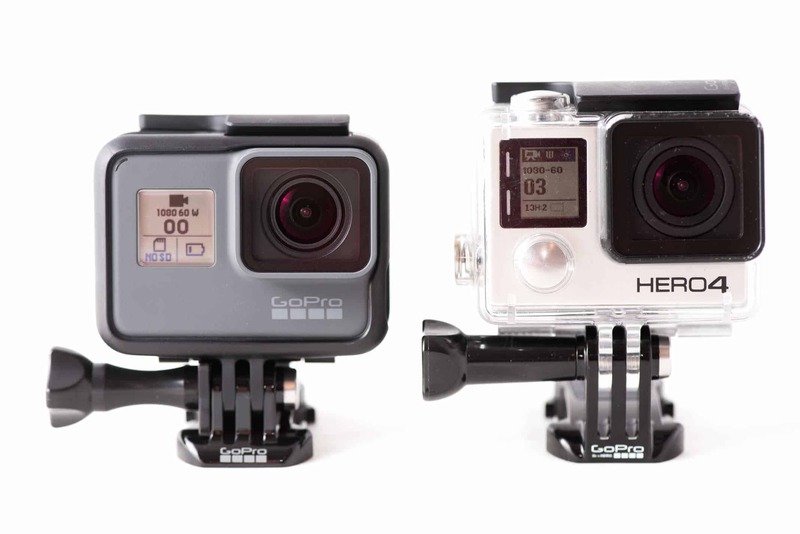 GoPro has its own branded adapter, but there are third-party options that are cheaper. Some work well, but many users have found that there are third-party adapters that are marketed for use with the GoPro but that don't end up working because the camera fails to recognize the microphone when using that cable. Some work well, but a few don't. If you want to play it safe, stick with the GoPro one. You can find them at at Amazon and B&H Photo. And here's the version specifically for the HERO5, HERO6, and HERO7 models. With the standard waterproof housing there's no way to access the mini USB port without taking the camera out of the housing. So you'll be wanting to either use the camera naked (that is, without a housing) or, more likely, use one of the alternative housings that allow access to the ports during use. Using a housing means that you can still make use of the mounting systems that are attached to them. But these housings with cutouts, obviously, aren't waterproof or weatherproof. If you're up for a DIY project, it is possible to modify a waterproof housing to allow access to the mini USB port, but you run the risk of creating a leak that definitely isn't covered by the warranty. And most microphones aren't waterproof. The most common approach is to go with the official GoPro skeleton housing. They're made of the same kind of plastic as the regular waterproof housing, so they provide a reasonable amount of protection, but they have cutouts to allow access to the ports (so they're obviously not waterproof). They also have cutouts in the back door. There are also third-party ones, like this one that do the same thing but are significantly cheaper. There is also one new exception: a microphone that's also waterproof. It's the Sennheiser MKE 2 Elements; more on it below. Another approach is to go with a minimalist frame. They don't provide much in the way of protection, but they do allow you to use the regular GoPro mounting system. Lavalier mics are also known as lapel microphones or tie-clip microphones (or lav mics). They're small, designed to be hands-free, and usually come with a clip to attach to clothing. 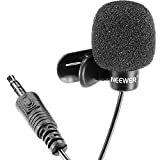 They work best for voice at close range and aren't great for music or ambient sounds. In general, any lavalier mic should work with the GoPro so long as you have the appropriate adapter. Here are some popular, inexpensive, and readily available ones. A small, stereo lavalier mic, it's a simple and inexpensive way to improve voice recordings. This is bundled with a foam windscreen and a GoPro 3.5mm to mini USB adapter, so you don't need to get that separately. It also has a long 20-foot cable. Similar to the mic above, this version has a slicker power control but doesn't come with the GoPro mic adapter. Available from Amazon. 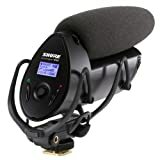 A very simple and very inexpensive option that's not going to give the same quality the more expensive mics but will still perform well in many situations where you need to improve the recording of spoken voice. You can pick them up at Amazon where they're also available in multipacks. Many of these are shotgun mics, which are often used for video recording because they have a very focused, directional range. Rode VMGO Video Mic GO Lightweight On-Camera Microphone Super-Cardio, is cost-effective, straightforward to use, and overall a good option for using with a GoPro. There's also a compact condenser mic, the Rode VideoMic Pro Compact VMP Shotgun Microphone, that's a also a good choice if your budget stretches a little further. Here are some more configurations. There are other a number of other mics in Rode's VideoMic series--they'll also work well with GoPro cameras. But note that some Rode mics will require a TRRS to TRS adapter to work properly. You can find details on that here. The headline feature of this new omnidirectional mic from Sennheiser is that it's waterproof and designed to go places that more fragile mics can't handle. It attaches to a dedicated back door for the waterproof housing of the HERO4 Black and Silver and makes the whole package submersible to at least 1 meter for at least half an hour (ie. it's rated to IPX7). It comes with a windscreen. It's only compatible with the HERO4 cameras and own't work with the other models. If you're looking for it, don't forget the "Elements" bit in the model name--confusingly, there's are also MKE 2 and MKE 2 Digital models, both of which are quite different mics. Solidly made, powered by a single AAA battery, and with an integrated shock mount, the Sennheiser MKE 400 is a compact shotgun mic designed for video cameras and DSLRs. It uses the 3.5mm plug, so you’ll need to pick up an adapter to make it work with a GoPro. Find them at Amazon and B&H Photo. There's also a higher-end (and larger) model, the MKE 440, that also works well with GoPros. Designed to mount on the hotshoe of a DSLR, this is a condenser shotgun mic that comes with its own own shock mount and fuzzy windscreen. It doesn't come with the GoPro adapter, so you'll need to get that separately. Find them at Amazon. Another condenser mic that's built to sit in a camera's hotshoe, this one is from one of the market leaders in microphones. GoPros obviously don't have a hotshoe built in, but you can add one by putting the camera in a cage housing. You can find them at Amazon. A straightforward stereo mic kit that's designed to mount on the side of the camera. It comes with a wind shield and a right-angle 3.5mm to mini USB adapter, so you don't need to get the adapter separately. The mic is light, but all its weight is on the mini USB port, so it's not ideal in situations where the camera is moving and potentially agitating that port and wobbling about (adding noise and potentially damaging the port). Available at Amazon and B&H Photo. All of the mics listed so far will work with both the HERO4 Silver and Black editions. 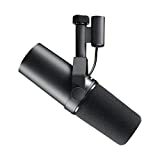 But the Black also supports compatibility with many studio mics. The GoPro, of course, is primarily a video and photo device, and although its audio capabilities are improving with each generation, it's still not going to give you the quality or control you have with a dedicated sound recorder setup, no matter how good the microphone is that you stick on it. Studio mics are also often quite big and aren't designed for mobility. But perhaps you want to keep things simple in post-production, maybe you already have the mics on hand, or maybe you want to keep the separate pieces to a minimum. So if you want to use a studio mic with your GoPro, here are the ones that GoPro officially supports as being compatible with the HERO4 Black. But again, first you’ll need a way to plug the mic into the camera. Studio mics typically use an XLR connector rather than a 3.5mm plug. So to connect a studio mic to a GoPro you’ll probably need another adapter to go from XLR to USB. It not only adapts the plug but also converts the signal. Shure has one, as does Senal and Blue Microphones. One of the best-selling microphones for half a century, the Shure SM57 is available by itself but is now also available in a kit with Shure's own XLR-to-USB adapter. The adapter is also available separately. For nearly half a century, the Shure SM58 has been one of the most widely-used microphones for live vocals. They're everywhere and still going strong. It's available as the mic only, but Shure has packaged a version with their own XLR-to-USB adapter. The adapter is also available separately. Available from Amazon and B&H Photo. This is an updated version of a microphone that's been a staple of music recording for decades. The Shure SM7BA is a favorite for studio vocal recording and features a clean, natural response. It looks like something that NASA would have designed in the 1960s, but the Electro-Voice RE20 has long been a favorite for broadcast radio and voiceover work. It also costs as much as the camera. The GoPro has reasonable sound capabilities built in, but if you really want to increase the sound quality a lot more you'll probably want to move to a dedicated sound recorder like a mobile field recorder. Of course, that makes for a more complicated setup that isn't quite as portable. It also means you'll have to put the audio back with the video in post-production. 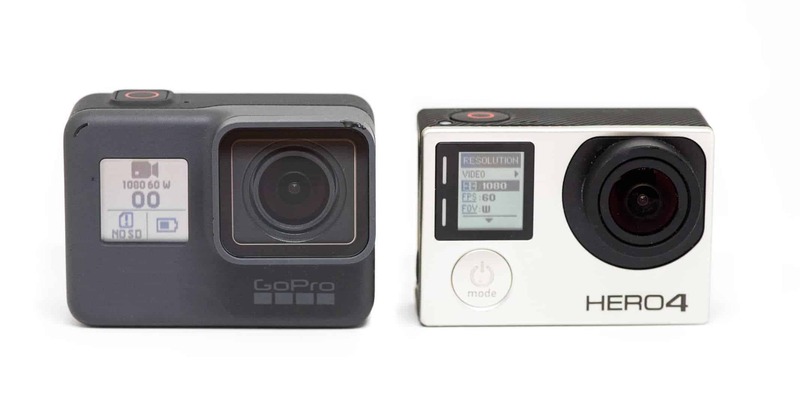 These separate out the audio and video recording, so they're not specific to GoPros--they'll work with any camera because they work independently of the camera. The sky's the limit when it comes to mobile field recorders--if you have a spare $43,000 dollars burning a hole in your pocket you can pick up this cinema-quality recorder from Sony--but here are some much more affordable options that provide very good quality. With XLR inputs, 24bit/96kHz Linear PCM, and stereo X-Y microphones built in, this is a battery-powered mobile recording studio that's almost pocket-sized. By using the 2 built-in mics and the 2 external mic input simultaneously, this becomes a 4-track recorder that fits in the palm of your hand from one of the most respected names in studio recording equipment. I have Gopro Hero black 5, Shure x2u and sm57 mic, but when i connect mic to the camera it doesnt seem to power up the x2u addaptor? and it just record through integrated mic... Is there anything i should do in settings of gopro ? Let me know how to correctly set this up please. 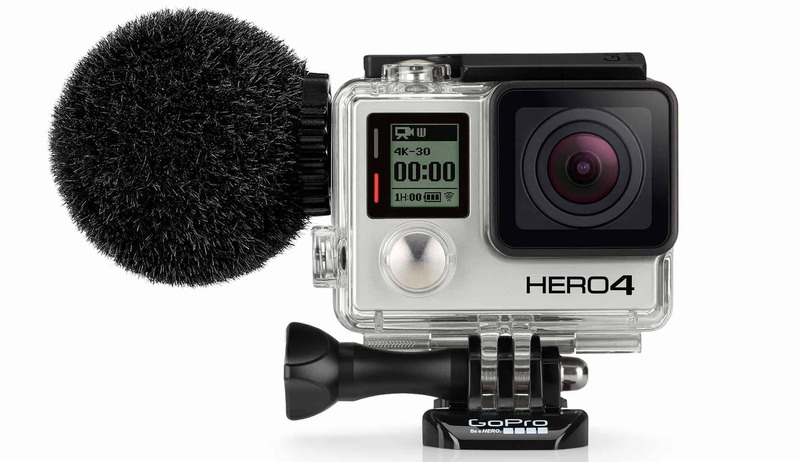 Is there any external mic (wired or wireless / Bluetooth) that works on the GoPro Hero 4 Session? I've seen yes & no, but cannot believe that there is not a solution out there.... Every GoPro in the world can have an external mic - except for the one I got - ARE YOU EVEN FREAKIN KIDDING ME ??? You can't use external mics with the HERO, HERO+LCD or HERO4 Session. I am about to buy the Sennheiser MKE 2 Elements. Does anyone know if it is really protects against wind of 50 km/h and all the rattling from mountain bike ? I am so bored about all the GoPro films with just music overlayed. The external microphone is not on. The offer GoPro not turn off the microphone internally. interni still sound spoils. I bought a Rode microphone which works great on my dslr, but it makes a crazy static noise on the gopro. Anybody else out there who has the same problem? I have a hero 4 silver, with a gopro conversion cable and I've switched off the wifi and the screen to try and get rid of the noise to no avail... please help!!! I'm not crazy. For excellent sounds recording in stereo with no adapter google immortal mics' "monkey nuts." They are niche, but at fifty bucks the quality and radio of use is hard to beat. 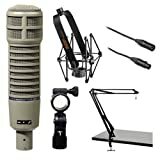 Would any of the studio Microphones be good for using in live shows, as fan ? From what i see from them, they can get a really nice sound from the ambient of a show, but they don't seem to be very portable to attache on the camera and just put on your chest and start filming. The first ones, looks good for that but I don't know if they have the same quality. Can I have anyone's opinion ? I tried connecting my Blue Snowball to my GoPro Hero 4 via a USB cable through the charging port...aaand I wasn't able to get it working. Can anyone help me find what the problem is? blue mics are usb mics. odds are the camera doesn't have any drivers to use that. It sends a completely different signal than the 3.5 imput that the camera is used to. When i connect the mic to the gorpo silver my LCD screen turns off, and when i unplug it the touch screen is off too. Anyone have the same problem? is there a fix? I had that problem with my hero 4 sliver. I was using an aftermarket 3.5mm to usb adapter. I purchased the original Gopro adapter and all is well. 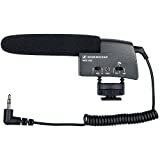 Do they make a wireless lapel mic for the go pro or one that is compatible with it? 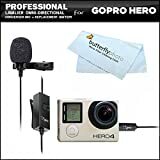 I am trying to get a recommendation for the best external mic to use with the Go Pro Hero 4 Silver/Music camera for the sole purpose of recording live music. I am looking for something that will capture a full, ambient sound with nice clarity and separation of the instruments. Anybody have some good advice? Thank you. I'd also like to know the answer to this question, please! I assume a live music event has an actual sound system/mixer. If this is the case, consider plugging right into the mixer. You call all the music w/o the background noise. With a good voice recorder on a phone or tablet you can get high frequency and high bitrate recording. What is the mount that you have in the picture for the Rode video mic go lightweight and the go pro? Good question. That's a Rode product shot, but here's a higher res version, if that helps. Do you need an additional adapter to connect the iGoMic Mini Shotgun? It looks like it plugs directly into the GoPro Hero. Is that right? Can you run a line input (from soundboard or mobile recorder like a tascam dr-40) into the hero4 silver? First thing I'd try is a lavalier mike with a windsock. How do you connect the Shure XLR to USB adapter to the GoPro? Has anyone had success connecting the Shure X2u to a GoPro Hero4? I have a mini USB to USB adapter>USB cord supplied with the X2u>SM57. Does anyone know if the Hero4 provides power output to run the X2u?